Weâ&#x20AC;&#x2122;re a national company that designs, installs and maintains automated control systems. We manage energy and increase savings. 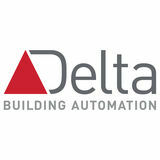 All Rights Reserved No part of this publication or any of its content may be reproduced, copied, modified or adapted, without the prior written consent of Delta Building Automation, unless otherwise indicated. We are 100% backed by the original equipment manufacturerâ&#x20AC;&#x201D; Delta Controls. As part of Delta Electronics Inc. (a $7+ Billion USD organization) the Delta Group of companies are able to bring some of the most energy efficient and sustainable solutions to buildings around the world.